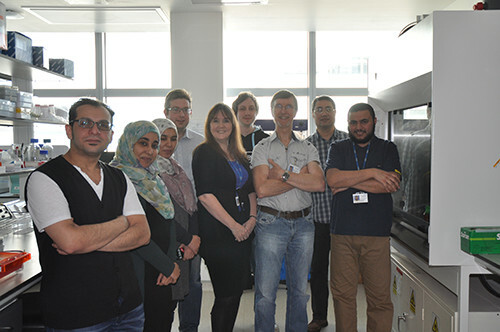 Caring Cancer Trust has been honoured with membership of the University of Manchester ‘s Beyer Circle of Philanthropy for the Charity’s sustained funding of animal-free research at their Viral Oncology Research Laboratories into Cervical Cancer and Childhood Leukaemia. 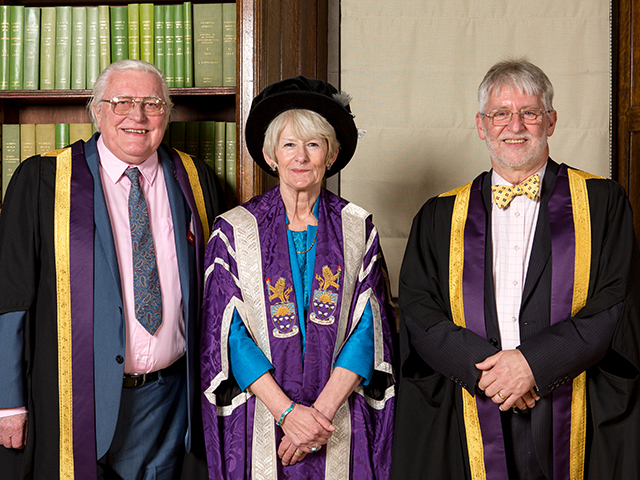 Hon.Secretary Ian MacWatt and Chairman Chris Ody with University Vice-Chancellor Professor Dame Nancy Rothwell, President of the Beyer Circle of Philanthropy at the 2016 inauguration ceremony. * New lifesaving Cancer Prevention medicines. *. 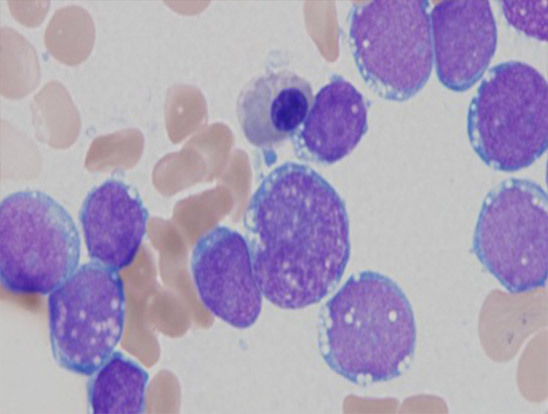 New Therapies for cancers in their early stages. * Analysis of the role of microbes in causing Childhood Cancer. * Heightened Cancer Awareness by GPs and public. * Lifestyle, diet and environmental changes for Cancer avoidance. The statement “Prevention is better than Cure” is never truer than for Childhood Cancer. The detection of malignant disease is increasingly more possible through Prevention Research. 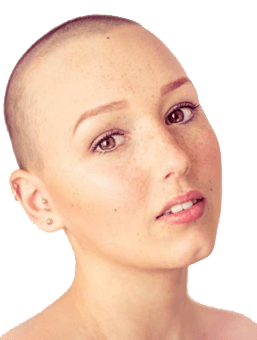 There are however still types of Childhood Cancer with no known cure or low survival rates. 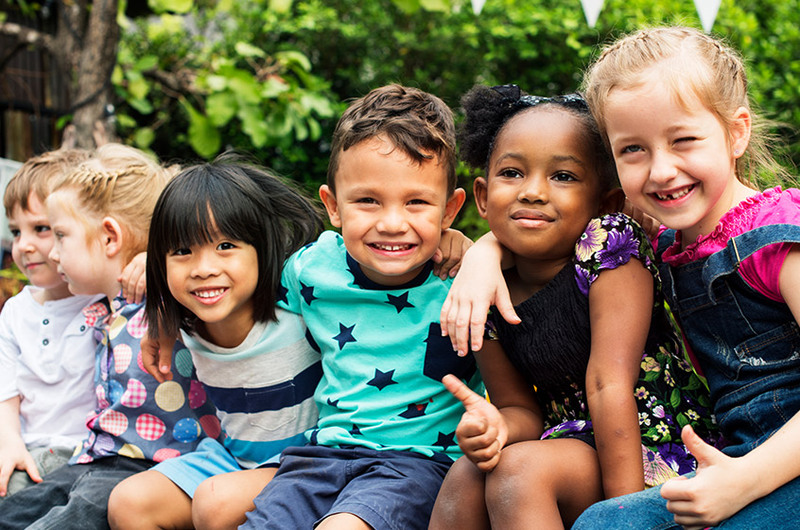 Research is increasing our understanding of how silent infections, lifestyle and diet, genetic predisposition and environmental pollution lead to different types of Childhood and later adult Cancer. We identify how simple changes in lifestyle and diet combined with avoidance of exposure to environmental contaminants reduce cancer for kids at tender age or later on into teens and adulthood. Identifying and understanding hitherto unknown cause-and-effect relationships enables scientists to limit exposure to such carcinogenic factors or devise prevention therapies to suppress their effects before a Cancer has time to develop. We fund ethical animal-free Research into Childhood Cancer, its causes, treatment and prevention. Nobody likes to talk about Cancer in children but more kids die from it than from any other disease in Australia, Canada, UK and USA. Research is improving our understanding of the role of immune system in the causation of Cancer. We now know, for example, that some tumours actually hijack the body’s own immune response to promote their growth. Research continues to know how this happens and what can be done to prevent it. Check out In The News! to read more about the work of Drs Ian and Lynne Hampson.